The printer is taking is sweet sweet precious time. So, most probably, no Lost Pages at any of the OSR-friendly cons this year. 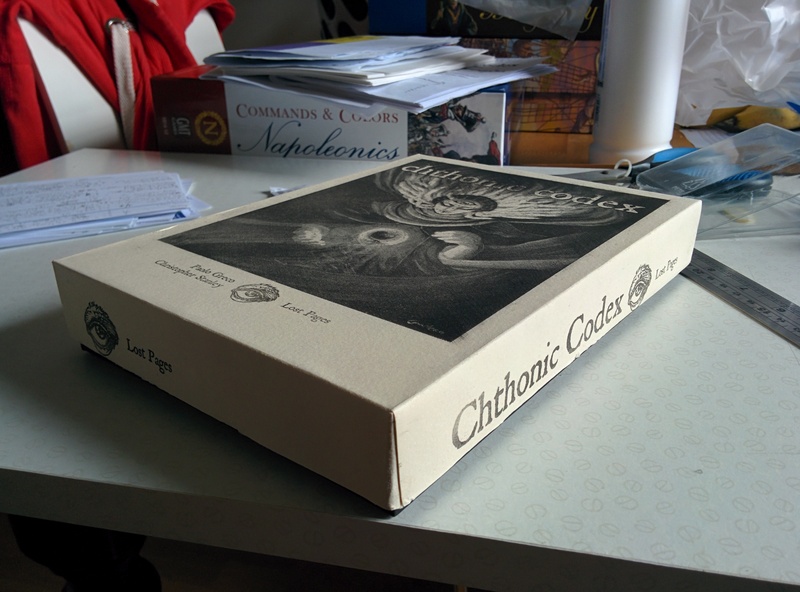 The oak covers for the codex edition of Chthonic Codex are taking weeks to be cut too. I’m not impressed with the supplier. Yes, the codex covers are going to be oak. Well, in theory, I’m confident at 95%. I need to try first, and post pictures. I’ll try a thing with gold foil too but I can’t guarantee anything yet. You know what is super-quick? Sheperd’s Bookinders. Ordered a few metres of gold-speckled black silk (and a non-exciting brush for glue) less than 48 hours ago and got them today before lunch. I have a handful of secret projects I can’t talk about yet in various stages of being done. AFG-R9 is done. I’ll email the new file this weekend unless weird stuff happens. Email me if you want it early. I started designing AFG for kids, “My First Adventure”. MFA I want it so that kids can play with older people too. 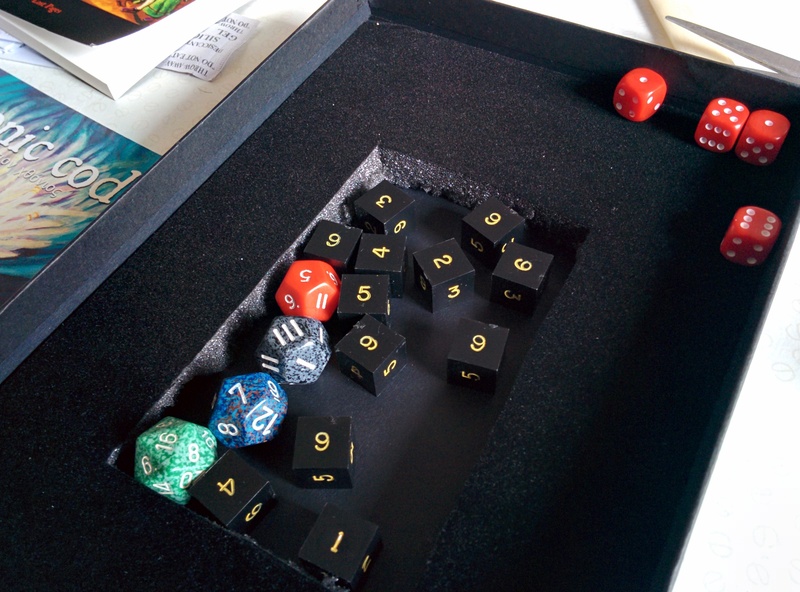 Designing a game with different sets of game mechanics can be hard but I came up with a few AFG-compatible classes: the Young Fighter (which can keep fighting as long as anybody in the group has hits left, but gets literally pushed around when the hits go to 0), the Apprentice Sorcerer (with simple lvl 0 spells, but usable more often than in AFG) and possibly some kind of Spirit-based kid that heals and grants rerolls. And all characters have pets. Because pets. And because of violence, people at zero hits either get stunned and a convenient spiral on their head or run away. Their choice. I can see the handbook starting with a very railroady learn-by-doing adventure, then a multiplayer CYOA, then a masterless-boardgamy sandbox, and then a normal adventure with a Referee. And plenty of collaboration mechanics. … presented as infographics with derpy drawings. In a boxed set. With maybe even wooden meeples for the characters and the monsters, if I can get a router. And when I wake up from the dream, I’ll have a smoked salmon bagel and eggs+bacon+hollandaise, with a cappuccino and OJ, thanks.